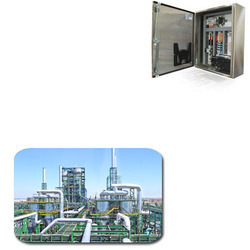 Manufacturer & Exporter of Control Panel for Process Industry. Our product range also comprises of Electric Arc Furnace, Rogowski Coils & Integrators and Fume Extraction Systems. In order to make the finest available to our clients, we engage in the using high grade raw materials and modern machinery, in accordance with the norms and guidelines defined by the industry, for manufacturing this range of Control Panel for Process Industry. Because of this, the product is known to have an impeccable performance, superior functional life and is highly user friendly in nature.